While many schools run LUV courses in the after school space, a growing number of them are opting to integrate them into the school day to support a particular unit of study. That way, students can delve into topics such as 3D printing, electricity and the engineering design cycle, human body systems, the chemistry of water, coding and video game design, and much more as part of their regular classes. And it’s great for teachers, too. We give them ready-made curricula, supplies, comprehensive training and seamless connections with our global partners. If your class is going to study the chemistry of water, you could offer our Global Scientists course for plenty of hands-on learning opportunities. Students study the chemical properties of water and the water cycle, as well as how water systems can be polluted and purified. In collaboration with partners from developing countries, they engage in hands-on research that reveals the water problems that each of their countries face and propose solutions to these problems. Read more about about the implementation of Global Scientists in this article about The Stanwich School and partners in Kosovo and this one about Fisher Island Day School. Delve into Biology with Global Doctors: Anatomy to support a unit on human body systems. As “global doctors,” students learn about the circulatory system, the nervous system and more by dissecting specimens such as a frog, grasshopper, earthworm, a snake, and a cow’s eye. Students exchange video messages with their global partners in developing countries to learn about each other’s daily lives and cultures and then work together to create a global health guide that incorporates practices from both cultures. Read more on how to amp up your school’s biology program with Global Doctors: Anatomy in this article about Pioneers Baccalaureate School and here’s the story of a surprise discovery students made during a dissection last summer at at Duchesne Academy of the Sacred Heart. Take students on a deep dive into DNA and genetics with one of our newest offerings: Global Doctors: DNA. 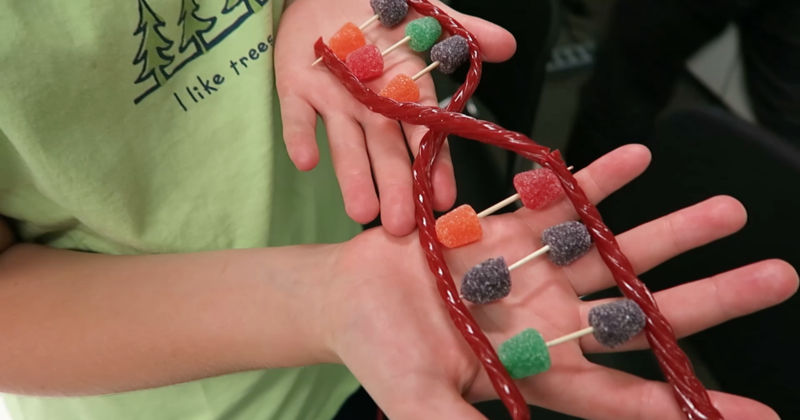 In this course, students learn to crack the code of life and learn all about genetics through a variety of hands-on activities such as extracting DNA from strawberries and building DNA models using twizzlers and gummies. Together with their global partners, they explore whether genetics or environment has a greater impact on leading a healthy life and present their findings. Is your school building a Makerspace? When you offer our Global Inventors course, your school receives a 3D printer to keep. In this course, students learn to harness the power of 3D printing, one of the most innovative technologies of our time, to engineer solutions to real life problems. In this exciting course, they learn how to use Computer Aided Design (CAD) software to create, print and 3D print a toy, a backpack tag and a solar-powered light source in collaboration with a global partner student from a developing country. Read this guest blog post and this article by Delbarton School about the 3D printing collaboration taking place with one of LUV’s global partners in Uganda. So coding is the new literacy, but how can you teach it in a way that’s fun and engaging? In Global Video Game Designers, students use “Scratch” to create animations and build a series of video games, while learning logic, coding and presentation skills. Throughout the course, they learn about their global partners’ daily lives and culture and incorporate that information into their video games. By partnering with LUV, U.S. schools directly sponsor Global STEAM education in developing countries through our “take a class, give a class” model. A portion of the tuition is used to deliver the same course to students at one of our Global Partner organizations, many of whom are living on less than $2 a day. To get started, fill out this contact form and let us know what courses you’re interested in bring to your school. Learn more about our global partners here and let us know if your school is interested in working with a particular organization. And watch this video for an overview of how Level Up Village facilitates global STEAM collaboration. 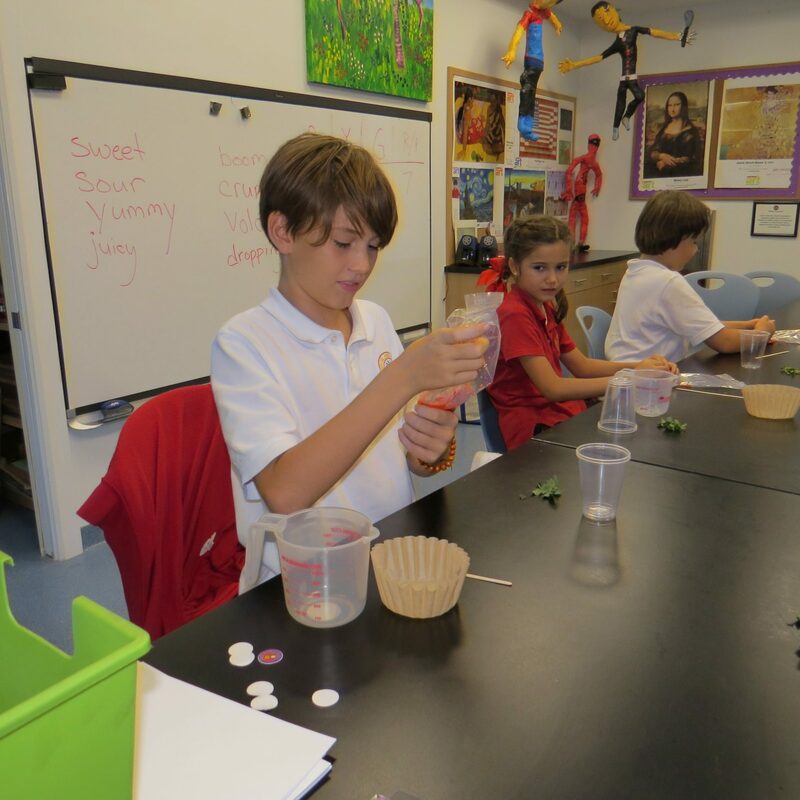 Students at Fisher Island Day School extract DNA from strawberries as part of LUV’s Global Doctors: DNA course. 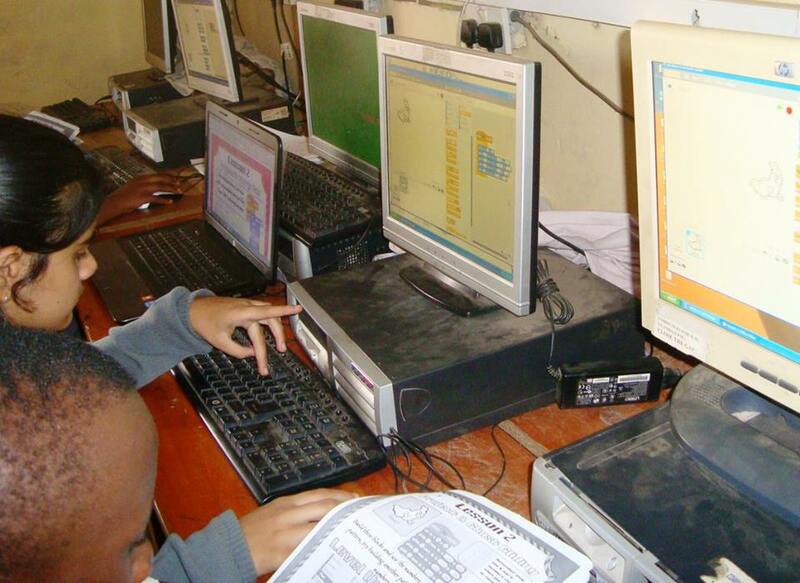 Students at RIC-NET in Uganda using “Scratch” in Global Video Game Designers together with partners in the U.S.